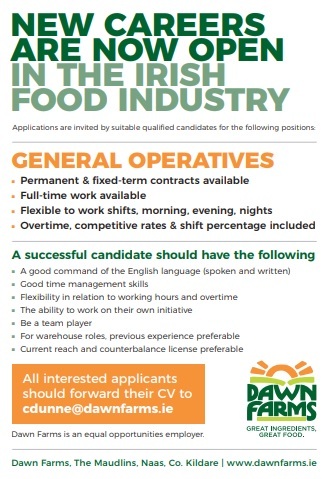 Dawn Farms in Naas is recruiting general operatives. Permanent and fixed term contracts are available at the Kildare facility. For more details on the positions available and how to apply, please see below.